Under the steer of inspiring leaders, PYNEH has been renowned for the development of Minimal Access Surgery. 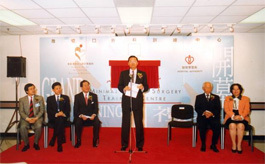 The first Minimal Access Surgery Training Centre in Hong Kong was officially opened in PYNEH in 1995. 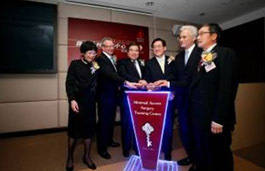 To stay abreast of technological advancement, the MASTC was relocated and incorporated into the HKEC Training Centre for Healthcare Management & Clinical Technology in December 2007 with advanced simulators. The openings of the innovative Endo-laparoscopic Operating Theatre in 2005 and Robotic Endolap OR in 2009 are important milestones shedding the light for the design of future operating theatre. Together with the innovative stereoscopic visualization system giving a high definition 3-dimensional view, robotic surgery team cooperation leaps into a new frontier. 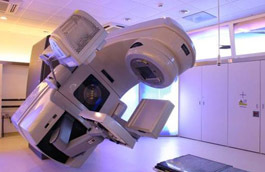 Cancer patient treatment with high-tech “RapidArc” technology and high-touch Visual Art therapy in the Department of Clinical Oncology ensuring the best quality of service is delivered to our patients. Copyright © 2019 Hospital Authority. All rights reserved.